The goal here is to add a little bit (1-2 hours of coding) to this each day of December leading up to Christmas (at which point it should be a completed project). I may then add some bells and whistles in the week after Christmas as well to make it more fun for New Year’s too. The following are some initial notes (and inspirational links) I made to help guide my design decisions as I started creating this site. The first font I selected was for the headings of the site. I wanted something that would have good thick, stylized numerals that I could use for the dates I marked on the packages. Then, I wanted looked for a body font to complement it. 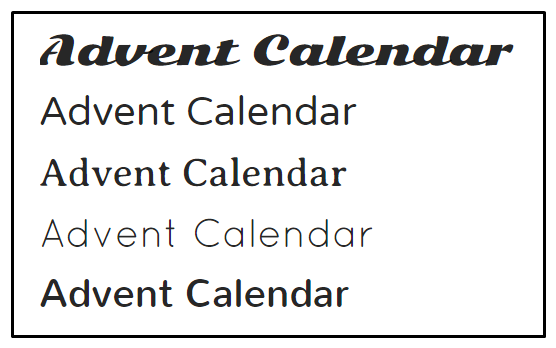 I thought something with rounded edges would look nice, but I found a very nice old and rounded serif font that fit the Christmas theme very nicely as well. 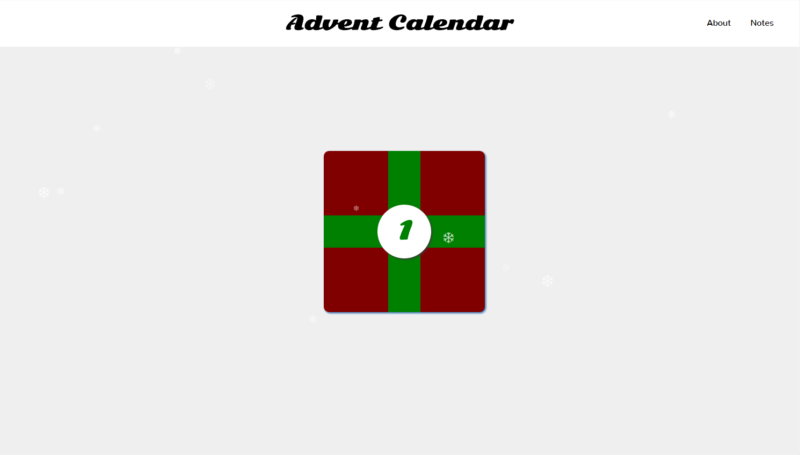 And, actually, it’s because of my time spent choosing typefaces that I decided to use this Advent Calendar design to highlight some of my favorite all-time typefaces. In a separate blog series, I’ll post One typeface per day that I’ve really enjoyed using in other designs. I’ve recently been working with SVGs and SVG animation, but I haven’t done a whole lot with CSS shapes (i.e. using a bunch of <div> elements and strange border-radius settings to draw something interesting). 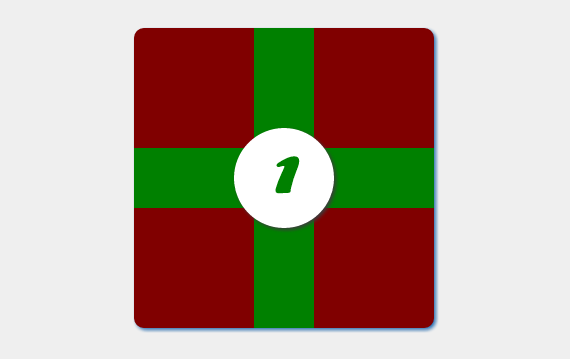 Therefore, I decided to create the Christmas presents (and ribbons) in pure CSS and HTML.